Ever hear of curb appeal? To be sure, it doesn’t stop at the curb. On the contrary, curb appeal is a colloquial term that refers to the attractive appearance of a home. Yours either has or not. 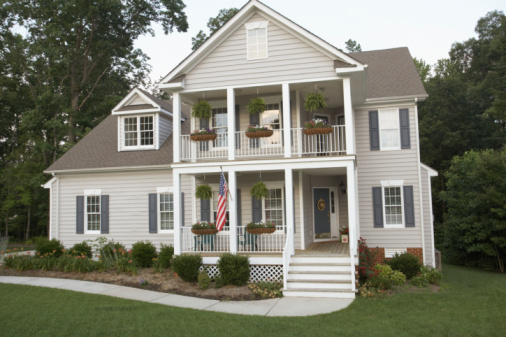 One affordable option for adding curb appeal is affordable exterior shutters from Southern Shutters. Like the designer window coverings Austin uses to enhance the interior of homes, custom exterior shutters from Southern Shutters will improve the curb appeal of your home. At Southern Shutters, our complete line of home exterior shutters are manufactured from western red cedar wood. We prefer this wood for exterior shutters because of its superior decay resistance, an important consideration for an exterior home accessory that is exposed to the constant fluctuations of Texas weather. In addition, western red cedar has a uniform texture and is a tight grained wood. A highly durable wood, the western red cedar we use for our line of exterior shutters is harvested from forests in Canada and is Forest Stewardship Council (FSC) certified sustainable. Exterior shutters have been used to enhance the appearance of homes for centuries. With so many styles of shutters available, they can be appropriate on a variety of architectures, ranging from Tudor and colonial to transitional and even contemporary. Whatever the design of your home, Southern Shutters has the shutter style that is complementary. Our Bahama style shutters were design in collaboration with a Tuscan shutter factory. These are available in six different slats and number of sizes. The finished is look is similar to shutters seen on homes in Europe. For a classic Texas ranch home, we recommend the board and batten exterior wood shutter. These shutters incorporate custom-sized vertical boards that have cross boards at the top and bottom as well as the Z-board. Fixed louvers come in six slat options in several sizes. Like the Bahama style shutters, these are reminiscent of European design. Exterior shutters with movable louvers are ideal for homeowners who want to use shutters the way they were originally intended—open to let in a cool breeze or closed to shield the home’s interior from inclement weather. Raised panel shutters are made from a solid piece of western red cedar and can be manufactured to almost any size specification. If you would like to visit our showroom to see exactly how Southern Shutters manufactures exterior wood shutters as well as the plantation shutters Austin residents decorate their homes with, then call us today. We also offer a free in-home consultation for your project.